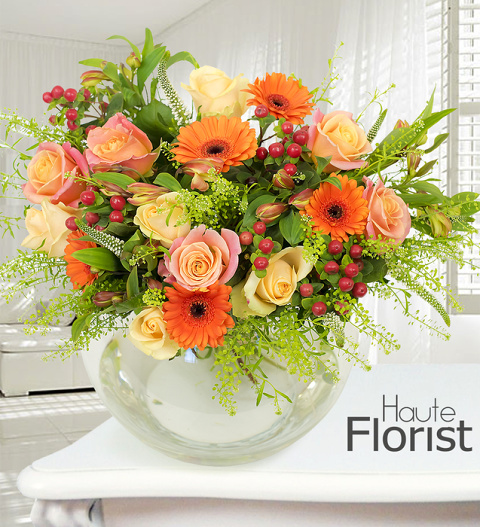 Presenting the Perigueux bouquet by Haute Florist, exquisite floral artistry hand tied by our professional florists. With sorbet and avalanche roses expertly arranged with alstroemeria, veronica and thlaspi green bell. The bouquet is hand tied with hypericum and presented in a luxury wrap and bag.